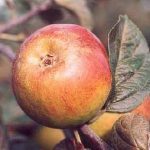 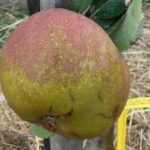 The Court Pendu Plat apple is one of the most ancient apples in our collection, dating back to possibly Roman times but it was definitely grown in fifteenth century England, fruit small in size, russeted but with a purple/pink flush, the flesh is crisp, rich, fruity and perfumed. 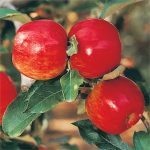 It mellows to a sweet and fully flavoured apple after being stored, good keeper. 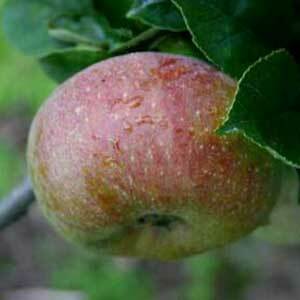 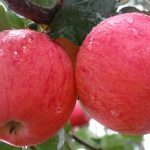 Late flowering (thus avoiding frosts) earned it the title of ‘Wise Apple’.